It’s been ages that I’ve been thinking about — and finally got around to creating — a new website for my work. I’m so excited to launch it today. The project started with me hoping to hire someone to help me, but that didn’t really work out, so I ended up doing it myself. I’ve been adding bits to it for the past month or so, and there are still sections to come, but I’m pleased to have it at a stage that’s ready for viewing. You’ll find galleries of paintings, galleries of sketches and a section of paintings for sale. In the next little while I’ll be adding a workshop section, as well as one for materials. 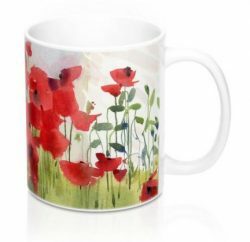 Have a look at the site by clicking on the image below or going to http://www.blaukopfwatercolours.com. This doesn’t mean anything will change with my blog. It will still be the place where I’ll post my day-to-day stuff, whereas the new website will mostly be for finished work. If you have comments or would like to see anything else on the site, let me know. Your new site looks great Shari! You are an amazing artist. I love when you paint trees! Thanks Mark! See you soon!! Can’t wait. Looks terrific, Shari! Love being able to see all your beautiful sketches and paintings in one place. That was the idea Julie. Thanks for writing. Congratulations on your new website – it’s beautiful and easy to navigate – a real pleasure to visit! A lovely looking website that showcases your paintings beautifully. Congratulations on building the website yourself. Must be a very satisfying feeling of achievement. Good on you. I was happy I did it this way and now I can update it easily too, which will be very useful. Web technology has come a long way. Thank you for sharing this Shari – all of your blogs are very helpful and educational. Good luck with your new website – it would seem that it is the next natural step for you to take. Yes, I have been wanting to do this for a long time Marion. Love the new website… but I couldn’t see anywhere to leave comments. Am I missing something? Ross, I made a big header at the top that is called “Contact”. You can send comments any time you’d like. Great new website! You are such an inspiration, thank you for sharing your amazing gift! Thanks for writing Barbara. Glad you like the site. Congratulations on the beautiful website! Thanks so much for writing Theresa. I am glad to hear that even though you’re not working, you’re still able to paint. I send greetings back to you and hope you get your energy and your good health back really soon. Congratulations, Shari! The new site looks great!! Shari, I love your new site! Your work looks stunning … the colors are gorgeous! Thanks! And now that it’s done I can get back to sketching! This was a huge amount of work. Félicitations Shari. A reference for watercolour lovers and Shari amateurs! I see familiar paintings and sketches that I loved. Go on! And good luck for your shop. You have to live from that talent and energy! Wonderful Shari, a joy to visit. That is a fantastic watercolor! It’s amazing how accomplished you are. Really. Congratulations, Shari…it’s a joy to behold!……looking forward to the workshops! Love the new website Shari! Great to see your beautiful paintings and sketches in one place. yay!!! these things take time don’t they… so glad it is up. Congrats – it is gorgeous! Your work looks even better on the new site – stunning! Congratulations! I love the painting you’ve chosen to launch the site. Mazel Tov on the website! Great work neighbour. Congratulations Shari! You are an inspiration. You have created a fantastic website. I am always excited to see your latest creation when I log in on my computer each day. Your style of painting is so fresh and gives me an incentive to continue on with my watercolors even though I am past the age and ability of ever reaching your excellence. I’m glad you like the site Janet. Keep on painting!! Congratulations! The site looks beautiful. The website is concise and wonderful. You did a great job and it reflects both you and your awesome work. I shall be pleased to have an uncomplicated place to go to relish your work. And thanks for commemorating Mr. Whitney in it! He was indeed a special man. Thanks for writing Dee. Indeed, Mr Whitney was very special and I’m thankful that I was able to study with him. I was in university at the time and lucky that my parents encouraged me to paint go to his workshops. Your website is drool worthy. You’ve done a grand job of presenting your paintings, sketches…I love your generousity in sharing the whole of your experience with watercolor with us. The cover painting on your website is lovely! Can’t wait to see what your online workshop looks like. Congratulations Shari🎉. The website is awesome. Always inspired by your work! Thanks Ashley. It’s always nice to hear from you! Congrtulations. What a beautiful website. Thanks for putting all of your great art together in one single place. Outstanding website !! Congratulations on your creativity and thank you for sharing daily. the tulips did us a lot of good, helping us wait patiently for spring. It’s really great to be able to see all of your fantastic watercolours one after another, a feast for the eye and a lesson in the medium with such beautiful work to peruse. Bravo ! Awesome! So great to see all your fabulous works at the click of a mouse. And the site itself is visually clean and airy. Thanks so much Joni. Believe it or not, it’s great for me to have all my work in one place now. Sometimes I can’t even find where my own sketches are! Thanks so much Scott. No, my blog is in WordPress but my website was created on Squarespace. I like their templates very much and they have a commerce component which is very easy to use. Congratulations on the new site!